Can You Give Keller His Forever Home? Austin Animal Center Needs You! 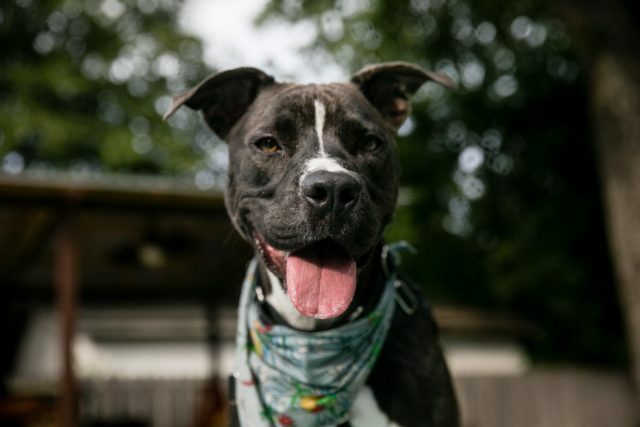 The Austin Animal Center, a no-kill shelter, contacted iHeartDogs on behalf of Keller, a sweet pup looking for his forever home. If you, a friend, or a rescue has a place for Keller, please contact orangedotcrew@gmail.com. The Austin Animal Center is probably the nicest place that Keller has ever lived, and he shows his appreciation every day for his luck in landing there. Keller (also nicknamed Keller Beller) tries to figure out what people want him to do, and then he works hard to please them. He has learned that his shelter friends are nice people and want to help him. He has decided that the very best treat is cream cheese (followed closely by peanut butter). He has discovered that swimming is so much fun, especially with friends. He has caught on beautifully to training, quickly figuring out sit, down and touch with a clicker. 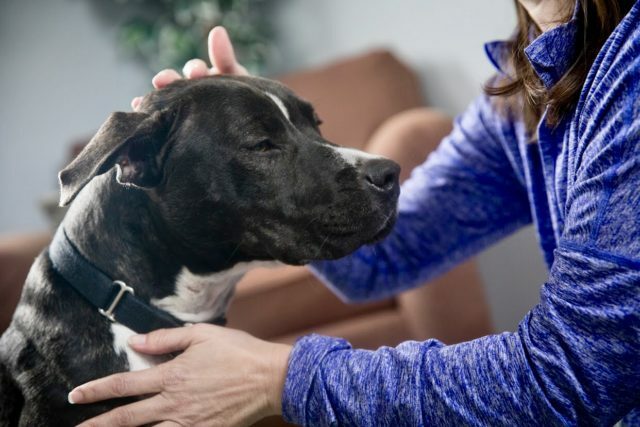 One thing Keller would love to learn is how it feels to be in a real home, where he can relax and find out what it is like to be loved by his very own person. Right now, Keller doesn’t do much relaxing, despite the fun things he is learning and the friends he is making. He becomes anxious when he sees another dog, which is tough when you’re a shelter dog. He has started chasing his own tail out of anxiety (which sounds cute unless you remember the last time you were so anxious that you felt like you were chasing your own tail). 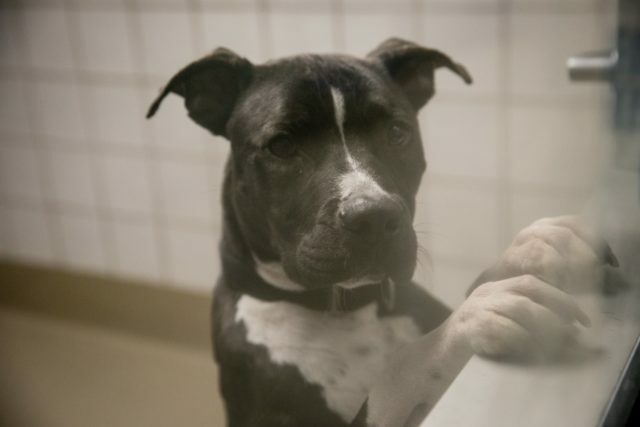 Keller Beller spends a lot of time looking out his kennel window, wondering if that person coming down the hall will finally be the one who sees how special he is and take him home. He might take a minute to warm up to a new person, but once he decides you’re a friend, you are a friend for life. Keller’s ideal home would be a quiet, low-traffic place without small children or other pets. He craves consistency, guidance and structure. He would love a yard to run around in, and a safe home to hang out in with his person. He went home with shelter volunteer Kayla Murray one weekend, and he showed her that he is house-trained and crate-trained – a crate indoors, lined with soft towels, would be the perfect bed for him. He enjoyed cuddling on the couch, eating treats, and getting to finally breathe and relax without the stress of nearby dogs. It is time for Keller Beller to leave the Austin Animal Center. He has been there since April and he is only becoming more sad about shelter life. He now “pancakes” (refuses to walk) when it is time to return to his kennel. 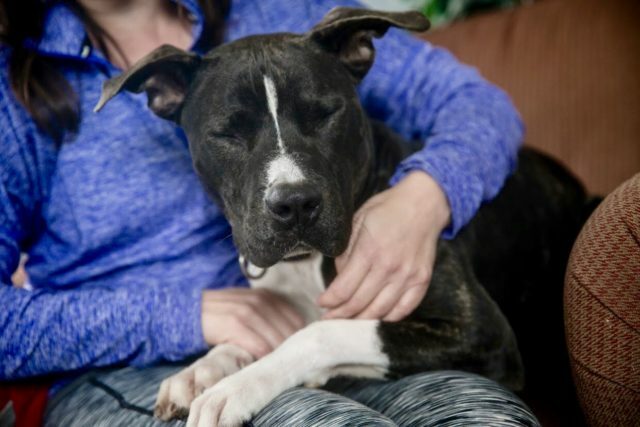 Kayla has promised Keller that she will find him a home, a family of his own, and she is willing to drive him anywhere in the country if it is the right fit. Keller is working with a trainer, and while he is doing well ( he is super smart! ), she agrees his best progress will be made inside a home. It would be ideal if he could continue his training when he goes to a forever home. This training cost would be covered by volunteers. Keller’s shelter friends will help his adopter with all the resources and support needed to help him make a good transition. Please email Kayla at orangedotcrew@gmail.com for more information on Keller Beller. And of course, even if you are unable to adopt Keller, please share his story. Thank you.